David "Hurricane" Hoerl - Harmonica on "Blues On My Mind" and "I'm A Love You"
Recorded and mixed by Daryl Hok. Recorded live July 9 & 10, 1995 in front of a small studio audience at the fabulous MagicLab, Surrey, BC, Canada. 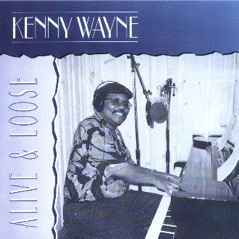 Kenny Wayne - "Alive & Loose"